Our drummer Sergio is bringing his minimal outfit, Antipop, to The Bowery, 36-38 New Oxford Street, tomorrow night, Aug 12th, 9pm till late. 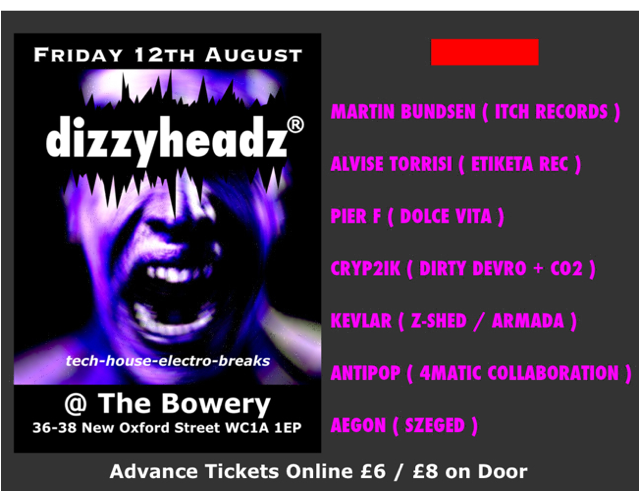 Tickets £6 online at http://www.dizzyheadz.com or £8 at the door. Not to be missed!